While not the most glamorous benefit, long-term care insurance (LTC) can have a significant impact on the savings and quality of life of your employees. LTC pays benefits to people who cannot perform any two qualifying activities of daily living, including feeding, toileting, dressing, bathing, and transference. LTC expenses include assisted living, nursing homes, home health aides, and continuing-care retirement communities. People use LTC to avoid self-insurance when they need assistance or supervision due to chronic illness. LTC also helps the insured avoid becoming a financial burden to family and friends. With the following facts in hand, you can help your employees protect the savings they’ve spent their lives building. 1. The LTC marketplace has rebounded with a wide range of products and providers. Carriers now offer a variety of insurance plans on a reduced underwriting or guarantee-issue basis for less than what employees could purchase independently. Many of these plans also include improvements such as products that continue to pay a death or LTC benefit if premiums are paid. Costs for employers have gone down as well. 2. Providers offer two basic kinds of LTC. The market has two kinds of LTC: multi-life and life with an LTC rider. Multi-life plans feature bundled individual policies for group settings. Life insurance policies with LTC riders allow the insured to receive cash benefits during their life to pay for care. 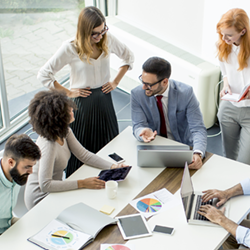 Employee demographics determine which plan works best for a company. Both plans work well for people with finances like 401(k) plans to protect. Standalone LTC policies reimburse the insured for the cost of professional care in a facility or at home. They’re mainly designed as a retirement income and asset protection tool. Plans feature monthly maximum benefits, lifetime maximums, and inflation protection options. Guaranteed universal life insurance provides flexible premiums that often allow the insured to adjust how much they pay each year. Universal life, which pays the insured’s beneficiaries after the insured has died, is permanent insurance, so it lasts the insured’s life and doesn’t expire after any amount of time. Included long-term care riders supply living benefits for costs like assisted living or home health aides. Life with LTC works well for employees who need affordable life insurance premiums but worry about outliving their plan. 3. LTC customer demographics are more diverse than you might think. When people think of the typical LTC customer, they may think of an older person looking to cover assets at the last minute, but that’s not the whole picture. Almost 41 percent of those who receive long-term care are under 65,1 and many people first purchase LTC insurance in their 50s or 60s but don’t utilize it until their 80s. Sporting and car accidents, spinal injuries, and multiple sclerosis can occur at any age and can debilitate anyone. 4. Long-term treatment and care expenses can drain savings. The numbers are daunting: 70 percent of Americans 65 and older will need LTC assistance.2 The average national cost for skilled LTC facility for one year is $91,000,3 and the average 401(k) balance is $165,000.4 A robust LTC plan can protect the money employees have saved over their lifetimes, keeping people financially stable if they need intensive assistance. Now that you know the ins and outs of long-term care insurance, you can decide what works best for your organization and your employees. Where do you see LTC headed in the future? What changes do you hope to see for this product? 1. Georgetown University Long-Term Care Financing Project. “Long-Term Care Financing Policy Options for the Future,” June 2007. 2. U.S. Department of Health and Human Services. longtermcare.gov. 4. Social Security Administration. Master Beneficiary Record, 100 Percent Data. 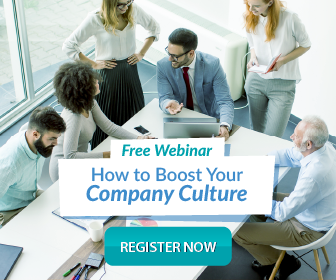 Learn six ways to improve your corporate culture to have 15% MORE employee productivity, happier employees, and lower new talent acquisition cost.